Lake Image Systems Inc., a leader in delivering print quality inspection, variable data verification and integrity management solutions for the label, packaging and commercial print environments, today announced that it will exhibit at the PACK EXPO International 2018 event (ww.packexpointernational.com), set for 14th-17th October 2018 in Chicago. Located in the Packaging Printing Pavilion (Booth S-4153), Lake Image Systems will feature its highly acclaimed DISCOVERY solution platform, a full suite of integrated, tailored solutions for inspecting print quality and verifying variable data on a range of label and packaging applications. Variable data printing on packaging is growing rapidly. The use of QR codes for driving brand loyalty, plus the shelf impact of constantly changing and personalized packaging designs continues to gain momentum. When printing variable designs, barcodes, QR codes or a unique ID onto folding cartons, films, corrugate or labels, either using high-speed digital printing devices or inkjet technology, it is critical to ensure the variable print or codes are legible, readable, accurate and error-free. Otherwise, the integrity of the embedded data, essential for driving marketing and loyalty campaigns, can be severely impacted, rendering them ineffective. With the growth of full-color digital printing, the counterfeiting of sensitive and vulnerable products, such as pharmaceuticals, agrochemicals, and cosmetics are also on the increase. Printing a secure ID, barcode or unique image pattern, supported by a track and trace system is an effective method to deter counterfeiters. However, these secure codes need to be verified, logged and authenticated, immediately after printing, in order to ensure full supply chain traceability and accountability. Lake Image Systems data verification and integrity management solutions deliver speed, ease of use, and low cost of ownership, enabling label converters and packaging printers to automate their labor-intensive inspection processes and raise quality levels, required to fully exploit these emerging and lucrative printing opportunities in digital packaging, whilst reducing costs and therefore driving profitable growth. Digital Packaging: Lake Image will be showcasing its latest solutions for reading, grading and verifying QR codes on a webbed packaging application, as well as for detecting print defects such as streaks, voids, color deviations, and print registration issues. Anti-counterfeit Packaging: Through their collaboration with ScanTrust (a secure cloud-based product authentication and supply chain traceability specialist), Lake Image will demonstrate an integrated and fully automated solution for 100% inspection, validation, and authentication of the ScanTrust codes on secure packaging to deter counterfeiters. Security Labels: Lake Image Systems will be demonstrating its high-resolution solutions for high-speed inspecting, reading, tracking and verifying variable codes from highly reflective tax stamps and authentication labels for detecting unreadable, out of sequence, missing or duplicate labels as well as for detecting positional and printing defects. Advanced camera technology – Line-scan, area-scan and high-resolution scanners, including its award-winning DISCOVERY Maxscan, a linear, low profile scanning device that captures high resolution, uniform color images at press speeds. Proven image processing software optimized to run on Windows 64bit OS and on the latest PC hardware architectures – capable of inspecting large areas, at higher resolutions for faster error detection. A good example is DISCOVERY PharmaPQ which provides the ideal tool for precisely comparing every printed character against the original input PDF (post RIP’d) file or digital artwork – essential for pharmaceutical packaging and leaflet inspection requirements. 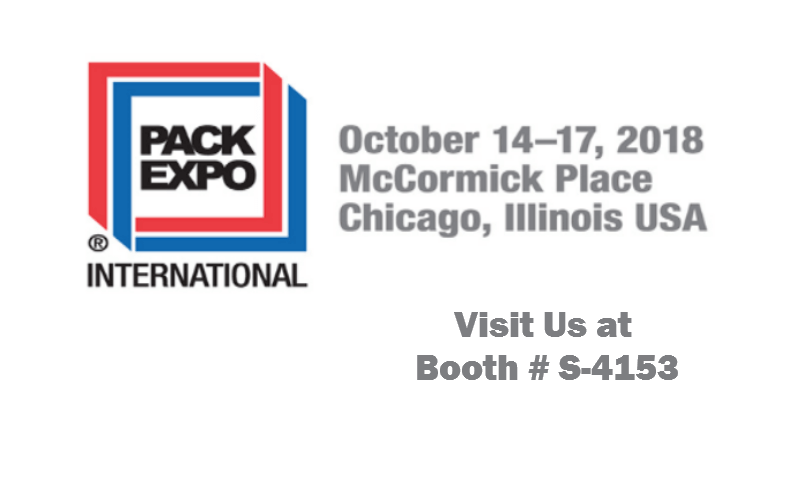 PACK EXPO International and the co-located Healthcare Packaging EXPO 2018, will take place at the McCormick Place, Chicago, IL, USA and will connect more than 2,500 top-tier suppliers of packaging equipment, materials, and automation technologies with 50,000 attendees from 40+ vertical markets.